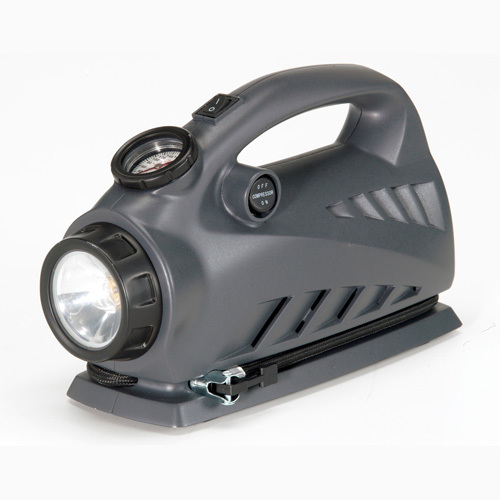 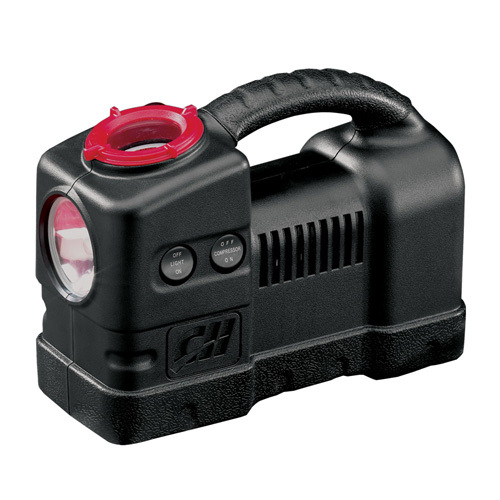 The Campbell Hausfeld 12-volt inflator (RP1200) delivers up to 250 PSI and comes with an inflator nozzle and needle. 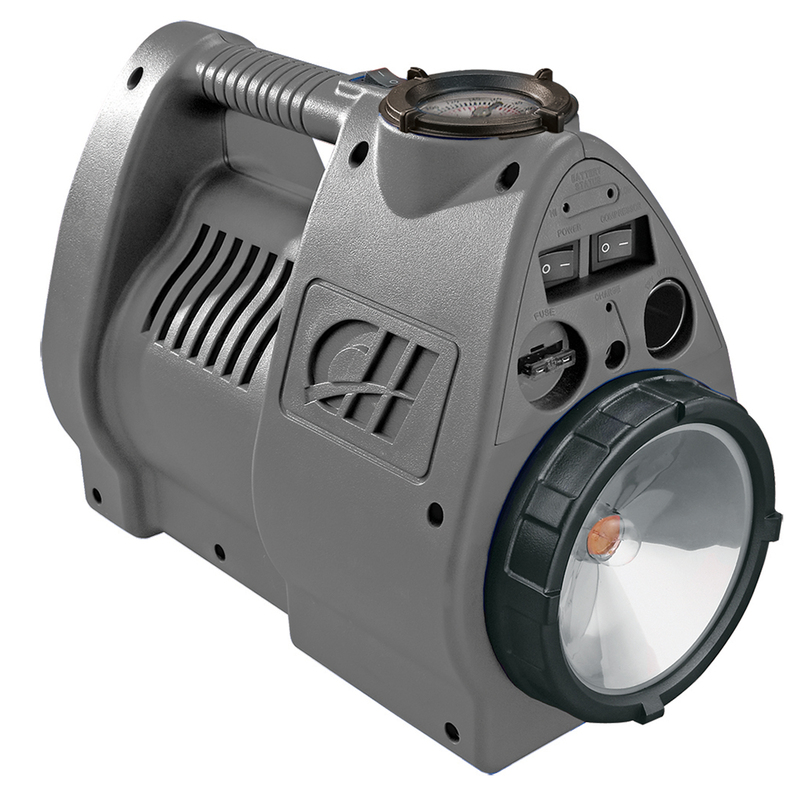 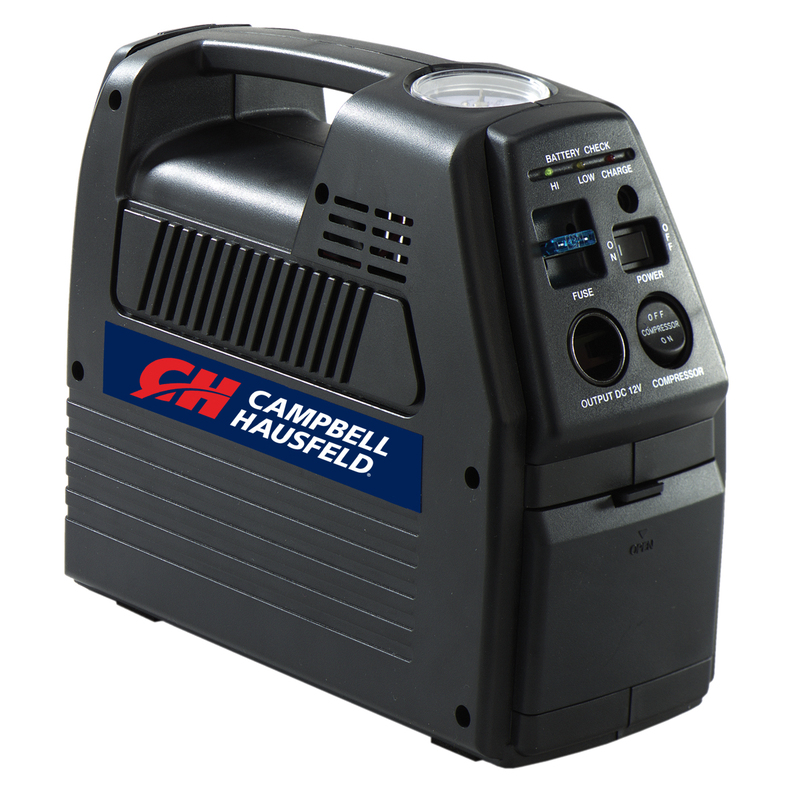 The Campbell Hausfeld 12-volt inflator (RP317599AV) has a high-pressure air hose for inflating tires and sports equipment, plus a high-volume outlet that’s ideal for inflating low-pressure items like air mattresses, rafts and beach balls. 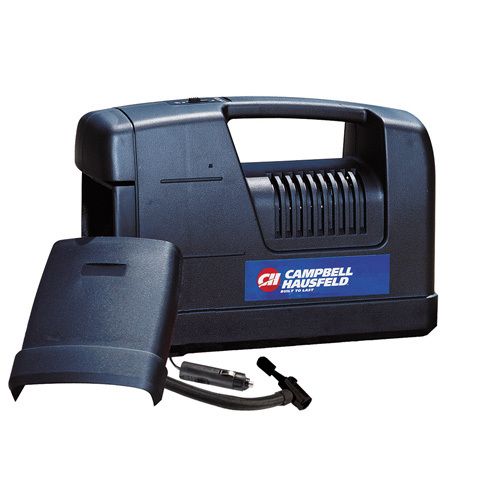 The Campbell Hausfeld 12-volt inflator (RP320000AV) is intended for emergency roadside tire inflating as well as for inflating bicycle tires, soccer balls and other sports equipment.